TWIN FALLS — The city of Twin Falls has announced its choice for who will replace Jackie Fields as the city engineer. Fields, who has been the city engineer for 13 years, is retiring in June. On Monday, the city announced that Mark Holtzen is expected to be appointed by the City Council during its April 22 meeting, at the recommendation of the city manager. “I’m excited for the opportunity to serve as the City Engineer and contribute to the community’s continued growth and prosperity,” Holtzen said in a statement. Holtzen was born and raised in the Magic Valley and currently lives in Jerome with his wife and three children. He earned a master’s degree in civil engineering and a bachelor’s degree in environmental engineering from Utah State University in 1999. 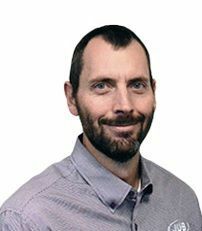 As a project manager and engineer with J-U-B Engineers Inc., Holtzen has extensive experience in planning and project management. A small team of city staff and Twin Falls Mayor Shawn Barigar selected Holtzen from among seven finalists they interviewed for the position in March. Eleven applicants had originally put their names in. The City Council has supported Holtzen as the primary candidate.